This is the first time I cooked butternut squash as fries. 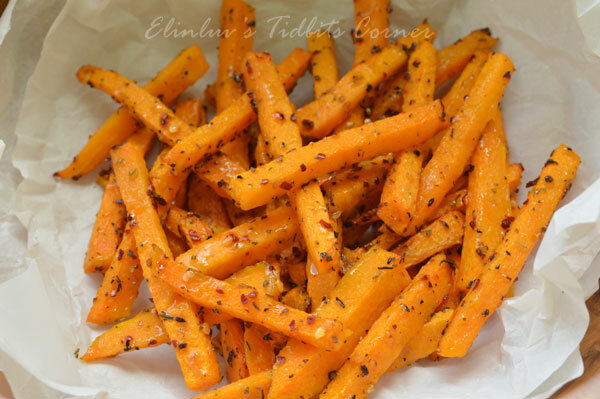 I googled on how to make butternut squash fries and found the recipe. So super easy , healthy and nutritious. 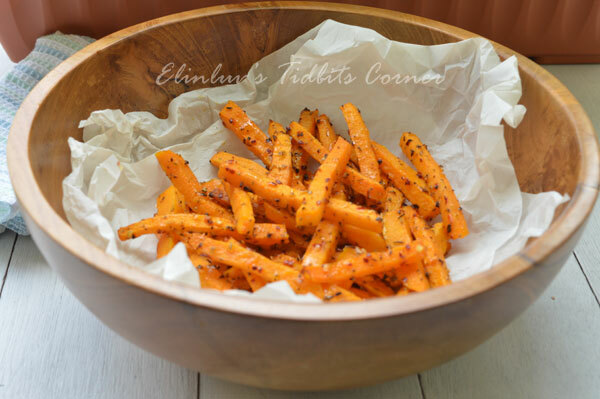 They taste like sweet potato fries but better. I love it and so does Wild Boar :) I bought one third section of the squash from Jaya Grocer and turned them into delicious, aromatic , natural sweet side dish. The recipe called for baking instead of deep frying which is likely unhealthy. Though deep frying could give you a more crispier texture but baking will have a crispy outside and tender and moist on the inside. Love it ! 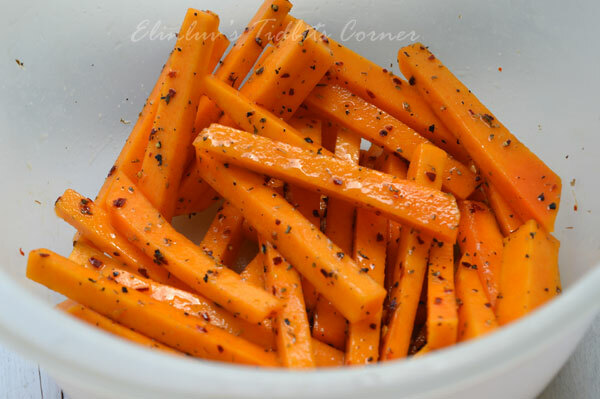 A very easy and fuss free healthy snack or side dish. A keeper for sure ! 2.Use a sharp knife to carefully cut away the peel from the squash. 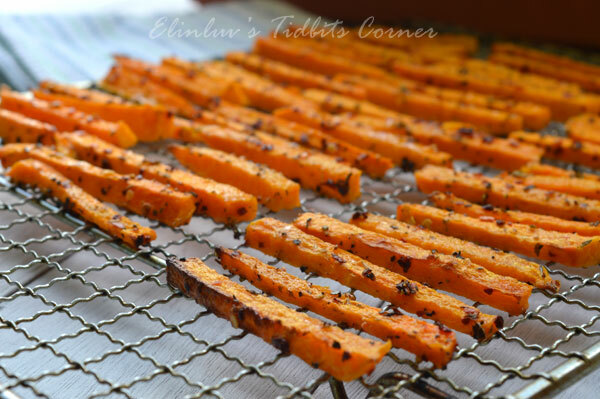 Cut the squash into sticks like French Fries. Season them with salt, mixed herbs and before baking ,mix in rice bran oil and make sure every stick of butternut squash is coated with rice bran oil. 3. 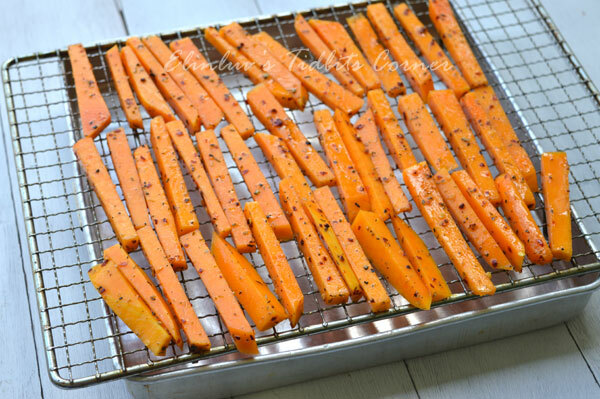 Arrange them side by side with a bit of gap on a wire rack over a baking tray and place the tray on center rack in the preheated oven (220C) and baked for 20 mins , turningf the fries over halfway through baking. 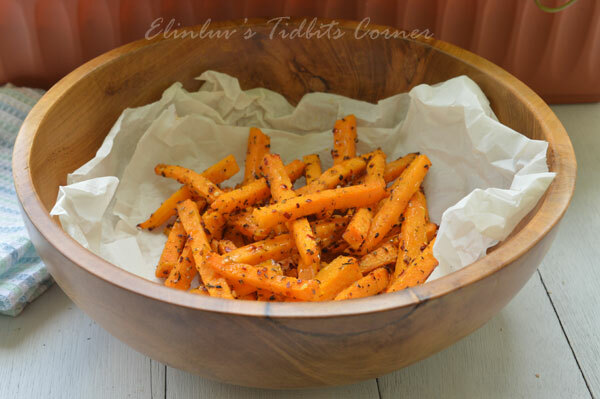 Fries are done when they are starting to brown on the edges and become crispy. They look delicious and healthy. And yes, extra chilli flakes for me too. Mmm...yummy and healthy. I've never tried butternut squash before. 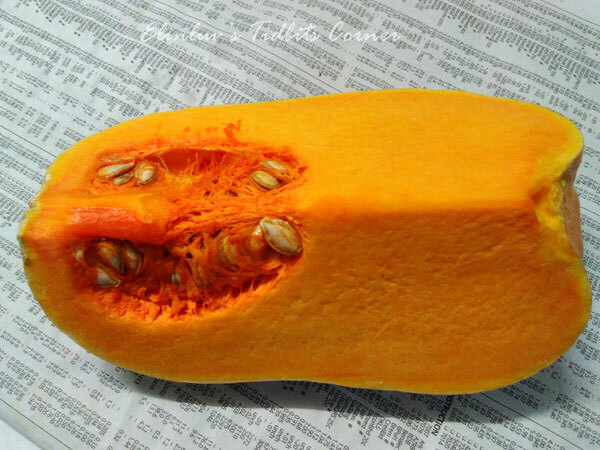 Butternut squash's texture is smoother and sweeter than pumpkin :) It's nice !